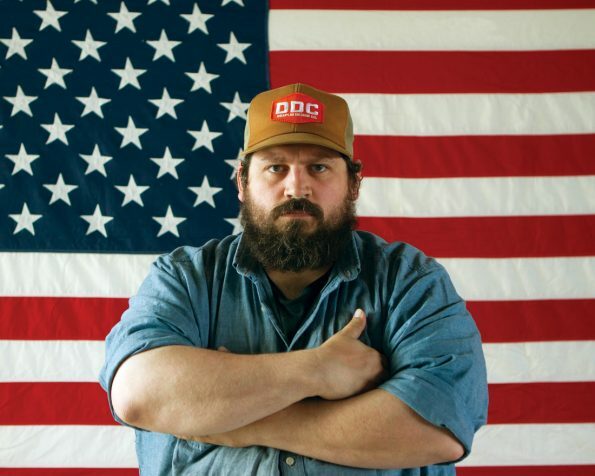 Aaron Draplin is the hardest working man in graphic design. His prolific body of work is a stunning visual compendium of all that is vibrant and alive in American graphic design. His design firm, the Draplin Design Company (DDC) designs and produces a range of fabulous merchandise in addition to their prolific portfolio of client work. 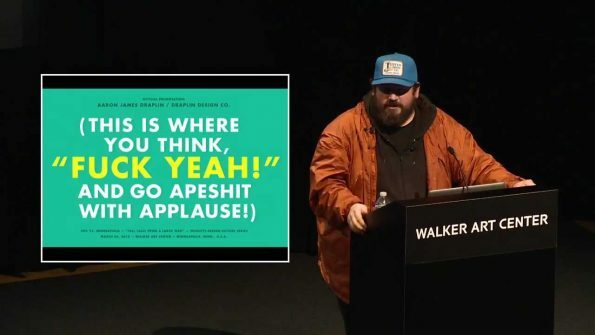 The great news for UNI students is that Aaron Draplin will be on campus this week to deliver a public lecture at 7 p.m. on Thursday, March 9, 2017 at the Kamerick Art Building (KAB 111). The talk is part of the Maryl Norton Hearst Lecture Series and is free and open to the public. Draplin is inspired by every state he visits – and his enthusiasm for visual culture is infectious. If you’re in a creative rut – refresh your inner muse at the wellspring of the DDC. He always has a great merch table with DDC designs and products (like Field Notes notebooks). Draplin tells it like it is – you’ll be emboldened by his ideas (and his typefaces). He’s funny, entertaining, and curses like a sailor. Not your typical lecture, to be sure. 1. He’ll sign your copy of his gorgeous new book! 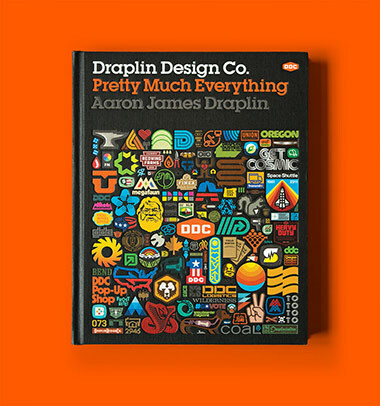 His new book came out last year and not only is it chock full of Draplin’s wonderful designs, ideas, and photos – but it’s absolutely beautifully designed.